Rethm. It's not a catchy contraction of rhythm. It's a speaker house from India's water state of Kerala. Think coconut toddy and karimeen fish curries baked in banana leaves. 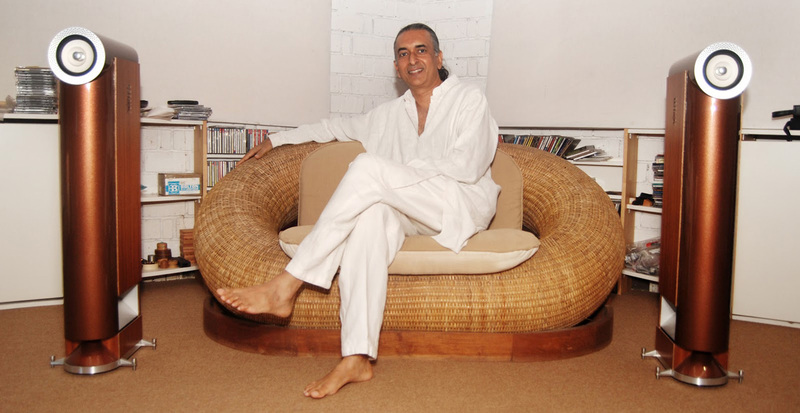 Jacob George, Rethm's designer, played violin in his school's orchestra, then became an architect by trade. These ingredients, of a player's reference for the true harmonics of string tone and an architect's training in harmonious shapes and how to build them, have pooled into Rethm since their Day One in 1998. The Bhaava is their latest launched for 2016. It sticks to their time-tested recipe of a widebander loaded into a folded rear-horn augmented by active isobaric bass. The owner's amp handles the xover-less bandwidth, Rethm's own does the heavier bass lifting. Whilst the three existing models use variations on Rethm's own wideband drivers, the latest Bhaava does not. To explain its gestation, we rewind by a year. "When an audio dealer from Iowa walked into room 418 at The Hotel Irvine, he liked what he heard and saw. 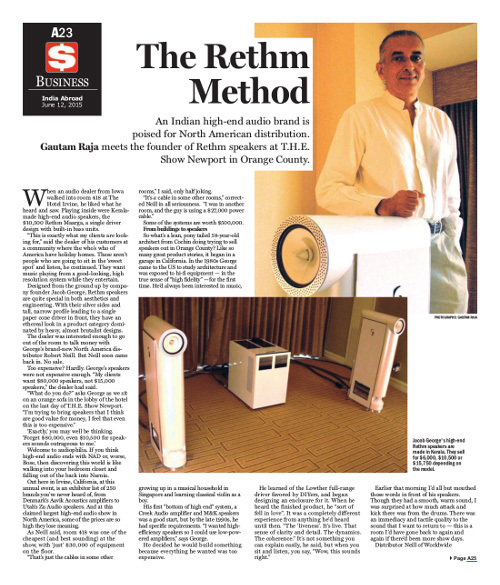 Playing inside were Kerala-made high-end audio speakers, the $10'500 Rethm Maarga, a single driver design with built-in bass units. "This is exactly what my clients are looking for," said the dealer of his customers at a community where the who's who of America have holiday homes. "These aren't people who are going to sit in the 'sweet spot' and listen," he continued. "They want music playing from a good-looking high resolution system while they entertain"... The dealer was interested enough to go out of the room to talk money with George's brand-new North America distributor Robert Neill. But Neill soon came back in. No sale. "Too expensive? Hardly. George's speakers were not expensive enough. "My clients want $80'000 speakers, not $15'000 speakers," the dealer had said. "What do you do?" asks George as we sit on an orange sofa in the lobby of the hotel on the last day of T.H.E. Show Newport. "I'm trying to bring speakers that I think are good value for money. I feel that even this is too expensive." 'Exactly,' you may well be thinking. 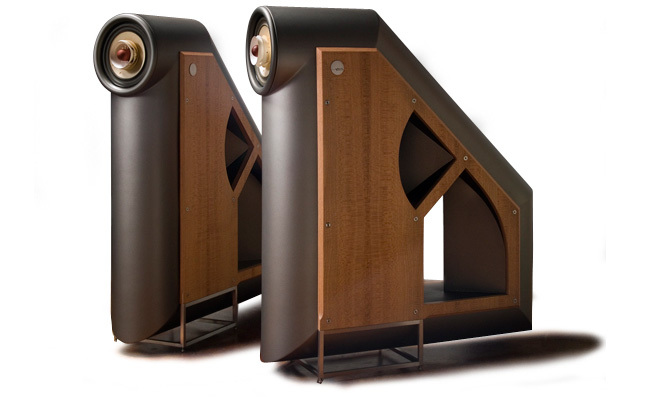 'Forget $80'000, even $10'500 for speakers sounds outrageous to me.'"... Raja then continues on the well-trod path of audiophilia's insane pricing ascendant; and how it leaves the average man in the street eating dust. Unless you're a saffron-clad ash-smeared sadhu, that's not really on the menu. So the Bhaava becomes Rethm's new dust buster. "As you know, I have wanted to work at the bottom end, price wise, of the high-end. I have always had 'philosophical difficulties' with the notion of paying prices equalling that of cars for a pair of speakers, however good they may be. Catering to just the top 1% of the population is becoming increasingly unjustifiable. And yes, I was a Bernie Sanders supporter. My Indian socialist roots leavened with a fair amount of guilt are probably just poking through. But... we still need good music; and good sound. This is Rethm's attempt to do it at slightly more realistic prices. We still use a widebander plus powered bass with level control. It is immensely musical whilst not having the ultimate resolution of our higher-up models. Here are the essentials on the $2'900/pr Rethm Bhaava: Boston Acoustics 8" full-range driver in a horn-loaded enclosure; 2 isobarically configured 7" custom woofers in a sealed chamber; 75wpc custom bass amplifier module with level control in each enclosure; 94dB system sensitivity; dimensions of 97 x 24 x 52cm HxWxD; 30kg/ea. We now have also perfected a modular bass electronics system so that if ever there was an electronics failure, we'd simply ship out an entire module to the customer who can swap out the unit very easily, making service a virtual non-issue. Where our Trishna, Maarga and Saadhana use Hypex class D amps with our custom-made active adjustable filters, the Bhaava runs our own class AB amp with a fixed filter using a single coil and a few caps." The Bhaava rectangulates the curves and complex intersections of the costlier models. That means more cost-effective manufacture. Even so, it retains Rethm's trademark downfiring flared horn mouth. It relocates terminals and attenuator to the rear where they're not seen in normal use. This repackaging is a clever application of the happy cake-and-eat-it mandate. To finish flat panels and facets in glue-back laminate is decidedly less laborious than hand-painting curves in multiple coats. Less labour equals a lower sell price even for India. Still, Jacob George can proudly affix his name to a speaker which honours all of his design principles. Far from a sell-out, the Bhaava is a sell-down. Get more folks into fine sound. Incidentally, the sanskrit word bhāva means emotion, sentiment, state of body or mind, disposition. "After I sent you the photographs, I started to ponder some more. I came up with a mod to the widebander. This gave us a lot more transparency. As you know, it's difficult for me to leave well enough alone until I know there is nowhere else to go. We also discovered that Boston Acoustics make another almost identical driver. It goes a tiny bit higher at the top and has a slightly higher resonant frequency (70Hz instead of 60Hz) but is 1dB less efficient (92 instead of 93dB). We are getting a unit today. I will do some comparisons before deciding which driver to go with. Both are reproductions of a venerable old Philips widebander called the Hi-Q." A few weeks later, "we settled on the new driver. Specwise the differences were minute but clearly, the second drivers were better suited to our hornloading. We also experimented with the bass filters and decided to provide two user-selectable settings." By October 29th, "as you know when developing a new product, things happen. In this case it was about things happening in my ear. Once we decided to go from no bass filter to a single filter point, then to giving the customer three filter settings to play with, honing in on the three precise values took a long time. I had to do many hours of listening before each change could be made. Then I had to get new coils made, listen again and so on. Unlike our other range, the Bhaava uses passive not active filters which weren't as easily defined. But now we're done and ready to ship your pair next week."